E-waste is the fastest growing part of the U.S. garbage stream. According to Time Magazine, Americans throw out more than 350,000 cell phones and 130,000 computers every day. Improperly disposed of, the lead, mercury and other toxic materials inside e-waste can leak from landfills and pollute communities. American Eagle Systems offers a range of solutions for all your specific e-recycling needs in compliance with all Federal, State and Local Regulations pertaining to the handling of electronic waste and hazardous waste materials encountered in your day-to-day business. We are able to provide you the transportation, treatment, storage, and recycling of nearly any piece of electronic equipment no longer being used by your business. Our state-of-the-art system for tagging electronic waste provides a complete Chain of Custody for the asset. Our insurance coverage indemnifies you against further liability once the equipment is in our hands, and gives you peace of mind that you are helping the environment. Every asset received by AES is entered in to our database, carefully audited and processed. Audit reports are made available, and certificates of destruction or recycling are issued where applicable to guarantee the services rendered. The whole process, including the trucking, can be videotaped to prove compliance, and either watched live, or DVD provided to the customer. Everything is performed under Department of Defense (DOD: 5220.22M) standards. All hazardous components (batteries on circuit boards and portable equipment, mercury switches, toxic capacitors, fluorescent lamps, leaded glass from monitors, etc.) will be extracted prior to destruction. These are then disposed of in an environmentally sound manner, exceeding Federal and State regulations. Non-hazardous materials (paper, plastic, metal, glass, etc.) are recycled. 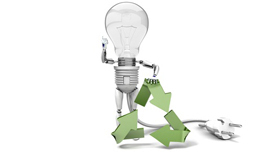 (COR)- Certificate of Recycling is issued once the material has been completely dismantled. (COD)- Certificate of Destruction certifies that all electronic equipment and associated components have been dismantled and/or destroyed pursuant to all applicable laws.